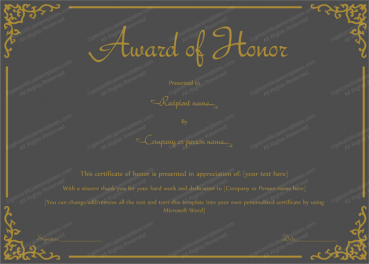 Our award certificate template is just the thing for giving an extra thank you for doing a great job. 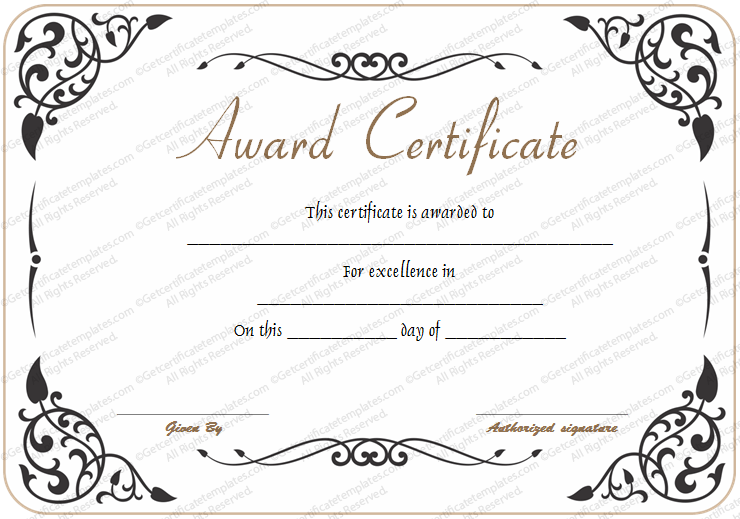 This excellence certificate is perfect for a business, club or other group with its professional appearance. 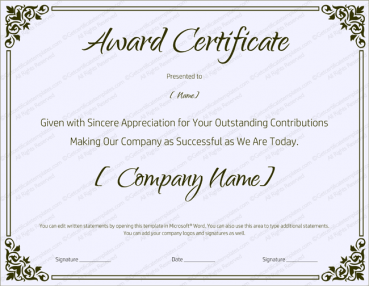 The judicious use of these types of awards can improve morale and encourage future performance. 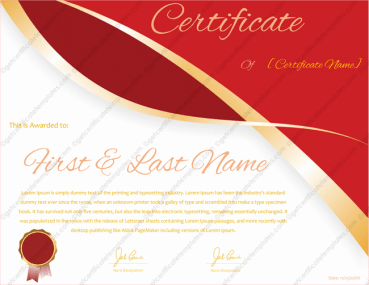 The certificate is gold and black and comes with a border with a lovely scroll design, suitable for a man or woman. 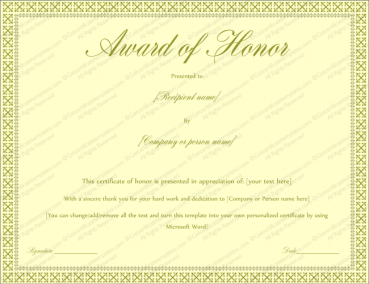 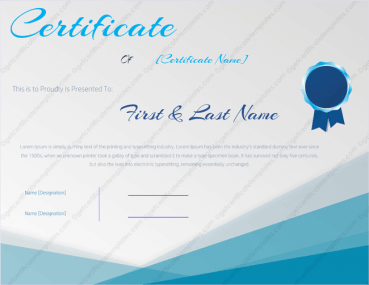 On the certificate are places to list the award winner’s name, purpose, date and signature of the grantor of the award. 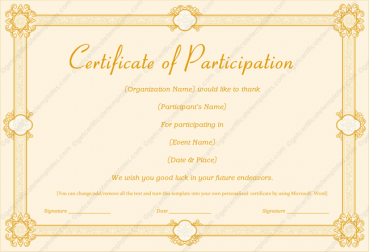 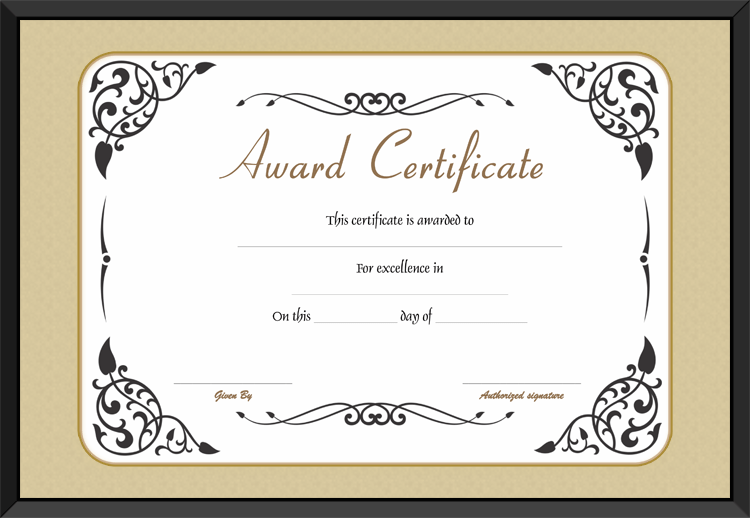 Our award certificate templates come with the ability to change the font, color or text to suit any situation or holiday. 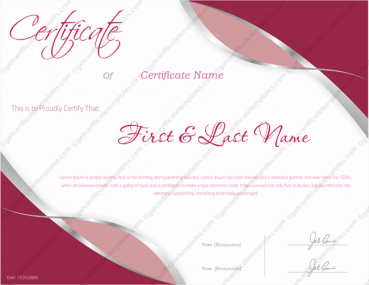 The user has wide discretion as to what to include on our certificates. 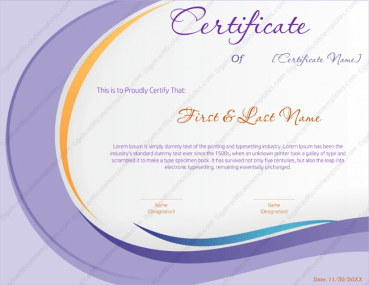 Our certificates print out easily on almost any office color printer for ease of use. 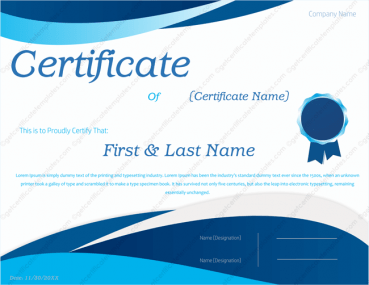 The user can print only the amount needed and the certificates can be prepared immediately for distribution.